2010 Comes in with a Bang! 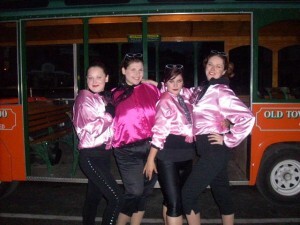 The Pink Ladies Ring in the New Year! Welcome to the Holly Jolly New Year’s Trolley! Posted in St. Augustine | Comments Off on 2010 Comes in with a Bang! You are currently browsing the Old Town Trolley Tours Blog blog archives for January, 2010.